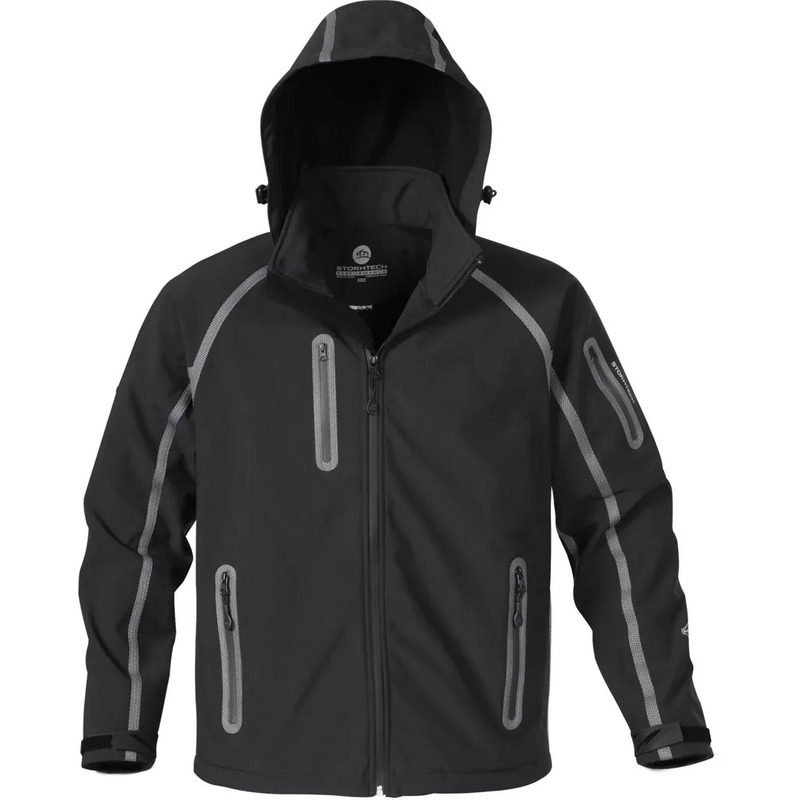 Shell: 100% Polyester, bonded with 100% Polyester microfleece with waterproof membrane. Raglan sleeves with laser-cut adjustable cuff tabs. Chest pocket with audio port. Sleeve and side zippered pockets with welded frame. Reversed tape waterproof centre front. Zipper with full length inner storm placket.